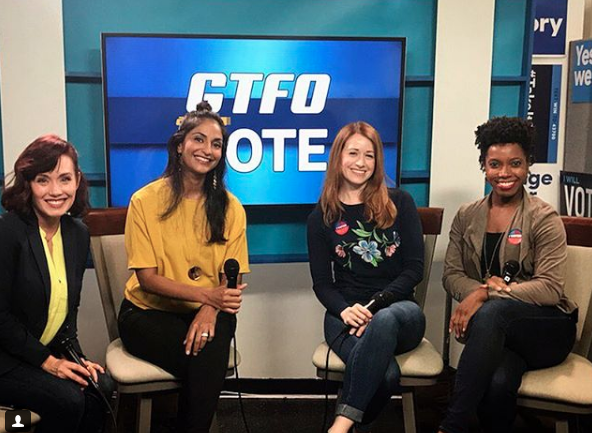 It was an honor to host the livestream for GTFO&Vote on Election Day with so many amazing guests! Paula moderated panels on Issues engaging Women and Immigration with Ashely Clements, Asha Dahya of girltalkHQ, Alex Marshall-Brown, Casey McKinnon, Vida Ghafarri, Miry Whitehill of miryslist.org and Julie Shcwietert Collazo of Immigrant Families Together . Catch the footage at www.tinyurl.com/gtfovote and as always - Go vote! Paula was thrilled to cast the Spanish and English versions of this beautiful spot for LA Metro by BubbasChopShop.com . Stellar work by the whole team! Thrilled to announce Paula is a part of the RD2 universe - she got to voice/facial cap a “lady of the oldest profession” and can’t wait to hear who finds her! Quicken Loans/Rocket Mortgage (Clemson) We've Got You Covered Spot! Congrats to all the nominees and winners - being a part of this community is such a joy! Stay tuned for the vibes Paula gets to throw into the Universe for a new multi-spot Constant Contact campaign, coming to screens near you soon! Had a blast filming a spot up in Portland for the weekend! The Sentinel Hotel was adorable and the town was gorgeous. The food trucks have an especially fond place in my heart now ; ) Don't be fooled by the Clemson paw tho, I'm still a Mizzou gal! Long Weekend - Double Shoots! Carpets - Red & Blue! The New Adventures of Peter & Wendy team had a wonderful week of celebrating web series (and our noms!) at the Indie Series Awards & HollyWeb Fest Awards! It's been such a joy watching this community grow. Ensemble Noms are the BEST! Paula is honored to have been in the short film Imaginary Friends which is sweeping the fest circuit with a ton of noms and Best of Fests already! We just heard it's nominated for Best Ensemble in a Comedy Short at the Twister Alley Fest (along with Best of and Best Director nods! ), eeeee! What a stellar team! Paula had fun filming this spot up in Yosemite shortly after her son was born - she even got to bring him and her mom along for the adventure! Paula is beyond honored to have ben nominated for Best Actress in a Comedy for her work in The New Adventures of Peter and Wendy for the Indie Series Awards! Especially since Percy Daggs III (Hook), Jim Beaver (George Darling) and our Production Designer Katie Moest are all nominated as well! The Pan Fam continues to work magic in her life. 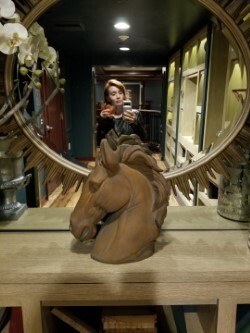 The show is the day after her birthday, stay tuned! Paula had a blast voicing this character and a handful of others for the Shadowverse world in 2016 and just got to come back to do some more! Keep an eye out for Paula schoolin' some stars in Facebook's Turnt out soon! Yay! 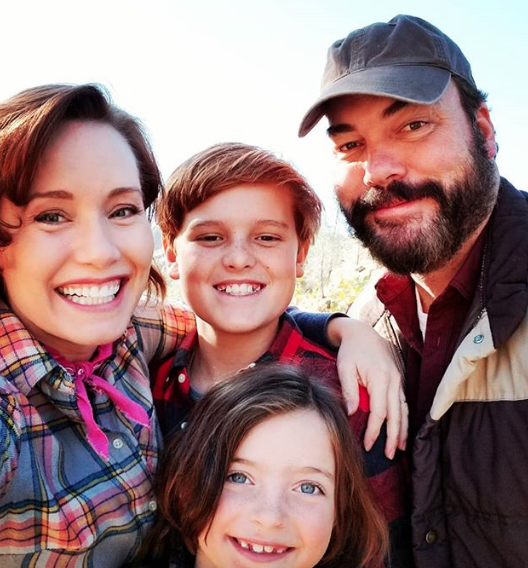 The spot Paula got to shoot with hubby (tho he's cut out of this version : ( ) 6 weeks after their youngest was born is up online, hopefully running on TVs soon! Best VR Game of the Year! A Mom in the Woods! The Evil Within 2 - Out Today! Best Actress in a Comedy Nom! 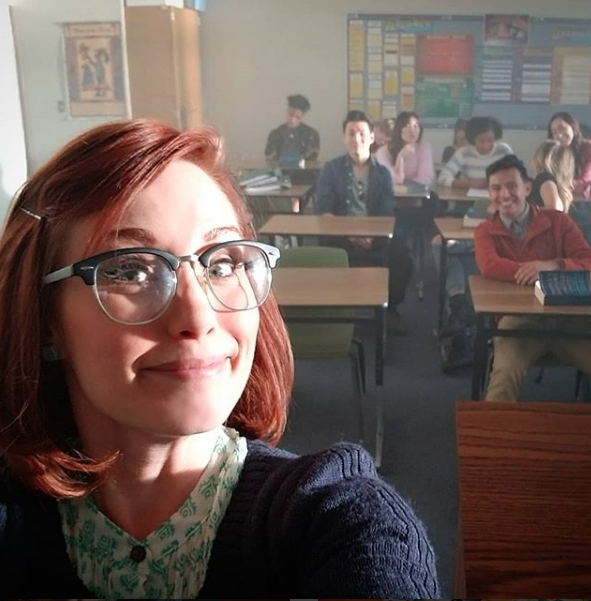 I'm honored and floored to be nominated in the Best Actress in a Comedy for the International Academy of Web TV (IAWTV) Awards for the second time for my work in The New Adventures of Peter & Wendy. The web TV community has been such a wonderful home for me for the past decade and New Peter Wendy has been a joyous adventure for the last 3+ years. The Pan Fam raised my bar and I'm getting recognized for the work they helped me do. I'm mega blushing and looking forward to the Oct 4th show!